You probably all know by now that I love a good hair product to tame my unruly fine tresses, and one brand I’m a big fan of Percy & Reed, most recently their Foaming Treatment Mask which I’ve raved about a lot lately, so when I spotted free Percy & Reed products with the latest issue of Elle Magazine I was instantly on board! The Wonder Overnight Recovery treatment caught my eye, and when I saw the adorable it was love at first sight. After a bit of googling, it seems that this is a new product to Percy & Reed that literally just launched on their online shop on the 1st of June, so it’s amazing that Elle gave it’s readers a chance to preview the product. It’s a super generous sample size at 75ml (the full size is double at 150ml for £20.00 here) and will no doubt last me a long time as a little goes a long way on shorter hair. The idea behind the product is that it works whilst you sleep – the absolute dream for lazy girls like me. 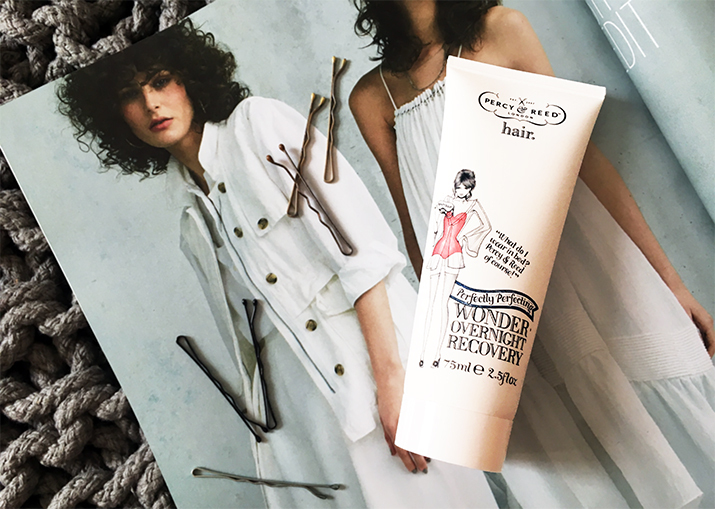 Designed for ‘dull, limp, lacklusture hair that looks and feels frazzled’ (check, check, check and check! Thanks a bunch, bleach…) this makes the perfect remedy for hair that requires a little TLC. I’ve only used the product twice so far and have already seen some amazing results, hence why I’m writing this so soon after getting my hands on it! I simply massage a 50p sized amount in to my roots, then take another and massage it through the rest of my hair, then I comb it all through with my tangle teaser. I do this right before bed, and so far have done once a week, then when I wake up I jump in the shower and rinse it out with my normal shampoo, no need for any conditioner as the mask has worked it’s magic overnight! My hair ha never felt as good as it does the day or two after using this. It smells great, looks super healthy and is so much more manageable. I’ve actually had compliments on how silky it looks and how nice it falls, which is a rarity! I also love how when you apply it, it soaks straight in to the hair, doesn’t leave any residue on the pillows and doesn’t feel greasy. This really is a wonder product! I’m not sure if the Elle magazine is still available that this was free in, but if you do see it I’d one hundred percent recommend picking this one up. It’s completely upped my hair game, and I can’t wait to use this on holiday next month. It will be perfect for applying the night after a day on the beach, or even through my hair whilst I’m by the pool before getting ready to go out for dinner for a quick boost. I’m officially hooked!! Have you tried the Wonder Overnight Recovery treatment? 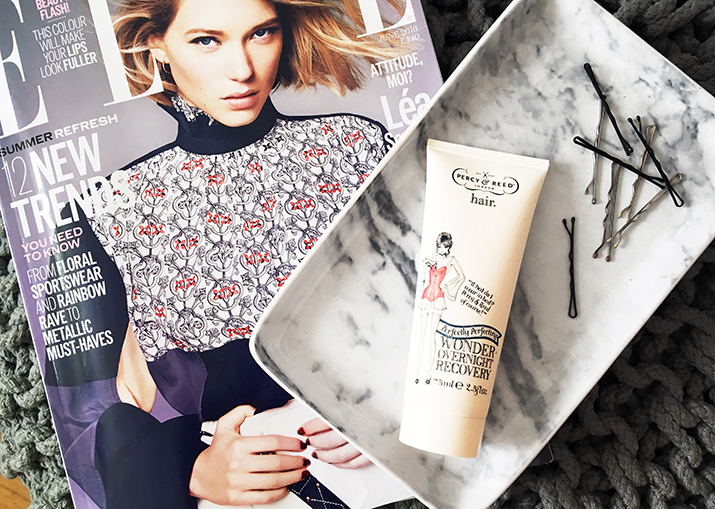 What’s your favourite hair mask? "(ANOTHER) SUMMER HOLIDAY WISH LIST"
Well, I think I'm gonna try this mask. Thanks for the advice.